The Singing Teachers Evaluation Working Party (STEWP) was formed in 2004 to look into the current provision for the training of singing teachers, and consider whether this situation needed to change, and if so, how? 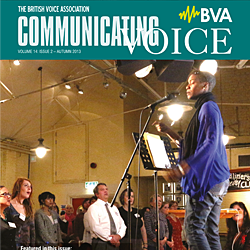 In keeping with the multi-disciplinary nature of the British Voice Association (BVA), we decided first of all to look at the role and expertise of singing teachers in Voice Clinics. So questionnaires asking about this were sent to the hundred or so Voice Clinics on the BVA files. Replies came back from 44 hospitals, of which 42 have regular active voice clinics. 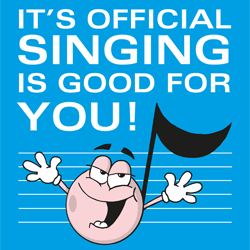 Of these 42, over a fifth have a singing teacher actively associated with them, who attends most clinics, is usually present at the first meeting of the patient with the voice clinic team, and provides specialist knowledge of the singing profession as well as other specific advice. These teachers were thought to have the relevant knowledge of anatomy and physiology for this environment, knowledge that had been acquired usually through a combination of formal training, private study, short courses and experience. When asked what factors prevented the other clinics from inviting a singing teacher to be part of the team, funding was given as a reason in 80% of replies, yet only three of the singing teachers at present working in the voice clinics are actually funded. There was a very strong response from the voice clinics, 86%, that a list of local singing teachers would be useful, but inevitably that brings one back to the fraught questions of recommendation and qualification in our totally non-regulated profession. We would greatly welcome any comments from singing teacher members (and others) about their own training as teachers, and indeed any other thoughts about these issues.